There is probably no greater decision for a military member regardless of their military service, military occupation, or status in the active military, Guard, or Reserve than deciding to leave the military. This is an emotional decision and you need to do your best to separate, for a time, the emotion from the practical decision making components of deciding to remain in the service or depart. Last week I covered the first three factors to assist in making this decision. Here are three additional factors to help you determine if you should stay in the service or depart. 1.What is the Degree and Education Level Required to Enter Where I Would Consider Working? Comparing education levels can be a tricky business when looking to enter a new company, industry, and occupation. For a lot of companies, where you get your degree and in what major field of study can be the central factors for hiring even if you meet the basic degree requirements. For example, if you want to live and work in the technology companies surrounding Austin, TX, then you may be better off pursuing a part-time degree from a local Austin, TX university versus trying to complete a degree at a local college in Maryland where you are stationed. Location is a critical factor for real estate but location is just as much a factor for deciding the choice of an educational institution. Finally, the strength of an alumni network in hiring is one of the major values of the degree when you complete it. Local educational institutions have much higher value in their network strength for employment. 2.What Am I Interested In and Where Would I Want to Live? Are there occupations, industries, and companies outside of the military that interest you? Can you see yourself working somewhere else and away from the military? Seeing yourself outside of the military is a critical step in transition because if you cannot see yourself and imagine your success in a new field, then you are not ready to leave. Another question to ask is do you know anyone doing what you want to do in the civilian world? If not, that’s ok because networking up to a year or more out from transition is common. You also need to think of four to six occupations and industries at a minimum that you are interested in. For example, if I want to work in the Energy sector but employment is down due to global factors, then I need a backup plan. Where to live is another issue, because usually where we grew up may or may not offer the economic and social opportunity needed. 3.What Do Your Family and Close Friends Think? Leaving the military is hard, and your family and friends should help you weigh in on the decision. If you think the military has too hard a schedule, then it is worth your time to talk to people in the Energy industry, Technology sales, or Consulting industry. It could be that the military schedule is not as bad as some civilian occupations. Does your spouse support the sacrifices of your military career? Do your kids understand why you have to be gone? All of these are factors to making a decision to stay or go. I know lots of military veterans that are away from their families MORE in their civilian jobs than when they were in the military. Getting a full range of views on the decision to stay or remain in the military is critical to making a good choice for you and your family. Once you make a decision to stay or go, then sit on it for three months. If after three months, you still feel good about it, then you have made the correct decision. The decision to stay or leave the military is a very difficult decision. By understanding your family’s life stage, the true value of your military compensation, the precise education requirements for a new career, your opinion of your military career progression, looking at the potential of new occupations, and understanding what your friends and family think of your choice, then you can make an informed decision to stay or leave the service. 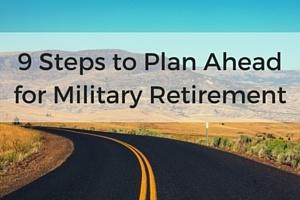 If you decide to leave, the first step is creating a robust, comprehensive, resourced, and detailed military-to-civilian transition plan.